Today, three hundred and fourteenth day of Year 2011, and 11th November 2011, that makes 11.11.11. A lot of people from all over the world take today as so called distinct day of the year that meets six of number one. 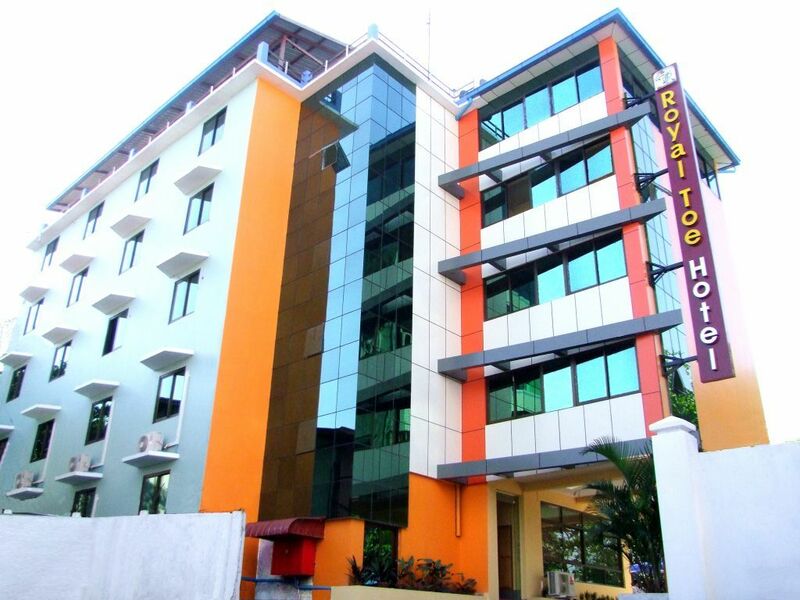 Today is also important day for Royal Toe Hotel in Yangon; it is opening its doors to business today. Royal Toe is one of the newest hotels in city of Yangon, it ranks three stars in hotel industry. It is situated on the Bayint Naung Road opposite of Ywa Ma Petrol Station, 30 minutes travel distance to Yangon International Airport, Central Railway Station and Downtown of Yangon. The major difference from most of the hotels in Yangon is that it has its own parking lots that guests can park their vehicles in the compound safely. It provides 24 hours security. All rooms are fully air-conditioned with 24 hours electricity, inclusive of 24 hours television and bath room attached. Currently it provides SKYNET and 5MOVIES for 24 hours free streaming of movies in Myanmar and Wifi internet access will be available soon. It has altogether 45 rooms of double beds in five stories building. Each level has one special room which included bath tub. Room rates are 18,000 kyats per day; for details you can reach Royal Toe Hotel at 95-1-531 192 and 95-1-531 193.